So many people have sent gifts and others are still asking to send money or how to help so I have been asked to set this up. 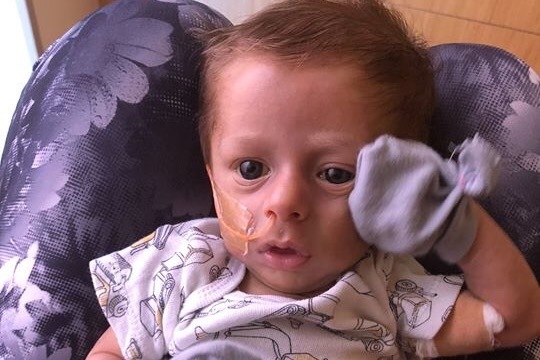 Ethan is our 3 month old baby that is failure to thrive due to an unknown metabolic liver disease, and he is going to be needing a liver transplant in Orlando. Ethan is our 5th baby and this has not only effected his life but all of our family. I have had to quit my job to be home with him and take care of him. Anything donated will help our family with travel costs, going to Orlando to see his specialists, going weekly for lab draws, our house hold bills, and any of Ethan’s needs... there is also a amazon wish list page if anyone would prefer that way. No one is obligated to help us in anyway but everything is and will be much appreciate !